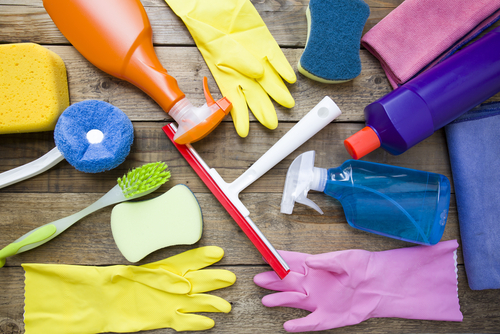 Cleaning your condo has to be a permanent part of your spring cleaning regime. 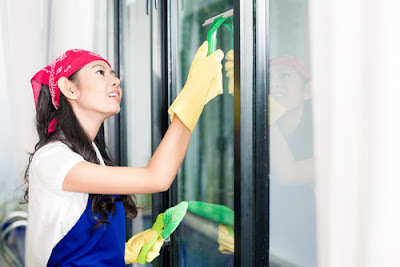 Although Singapore has very little fluctuations when it comes to weather cycles, the time during spring is always the best to give your condo the cleaning and refurbishing it needs. However, spring cleaning involves the use of many hazardous chemicals and mixes which may well make your condo look tip top but also bring many health hazards to life. Are you planning on retouching parts of your condo with renewed painting this spring cleaning? If yes, then do spare a thought on the chemical laced paints that you have been using. Household paints contain umpteen amounts of chemicals, many of which are toxic and related with air pollution, contributing to respiratory problems, nausea, cancer and asthma. They also contain Volatile Organic Compounds (VOCs) that keep releasing toxins into the surroundings for up to 6 years after application. Therefore, this spring cleaning, go for paints that are low on VOCs. These are water based and don’t smell as they have greatly reduced amount of toxins. You can look online for stores that supply them. One the major obstacles while spring cleaning is all the useless junk you accumulate over time. It comprises of paper, plastic and other materials which pile up and leave your condo in a shabby state. This spring, go paperless and throw all the junk away. Switch to paperless modes of settlement and stay away from printing your emails, receipts and bills. Give out the useless junk to people who need it more. Make your condo more spacious and organised. Consequently, it will become cleaner. Most of the air fresheners that you use contain harmful toxins which have been linked to fatalities like hormonal problems and cancer. Therefore, refrain from using chemical air fresheners. You can use natural fresheners like baking soda or scented oils to freshen up your condo. 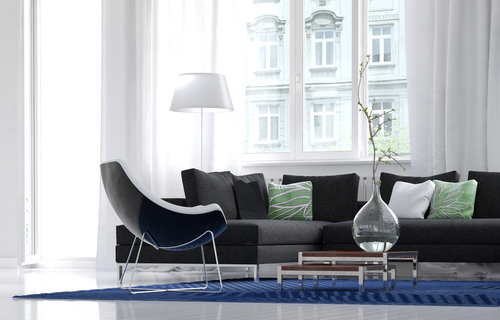 Better still, open those windows and let the sunlight refresh your apartment in the greenest of ways possible. Nothing does better spring cleaning than natural fresh air and sunlight. Water wastage is one the most pressing global concerns. An average individual wastes over 20 gallons of water each day. This spring cleaning, use some effective water management tips to save on water usage and make your condo increasingly well managed. You can use toilet dams to reduce water usage by 20%. You can easily get water dams at departmental stores. Replace those lavish showerheads with low-flow showerheads to save 50-70% on your water usage. While using water based solutions for spring cleaning, make sure you use absorbent cloth and use minimum solutions for maximum cleansing. The devil is always in the details. Do you know that most of the plugged in devices like chargers leak energy in standby mode. This leaked energy reflects on your electricity bills and also increases the overall global carbon footprint by increasing the consumption of natural resources. This spring cleaning make sure you implement efficient electricity usage standards in your condo. A cleaner environment also means a cleaner home. Therefore, remove those extra plugged in chargers and appliances, switch them off after use and regularly service them with a solution of water and baking soda to keep them clean and efficient. Coming back to energy efficiency, you should really be taking a second look at those high intensity yellow bulbs and tubes in your condo this spring cleaning and try replacing them with low power, low glare CFLs and shun incandescent bulbs to avoid damage to your vision, and then help save the environment too. CLFs use a lot less energy than incandescent ones and last 8 times longer. They are easy to clean and come down light on your eyes. You can also use motion sensors to automatically switch on and switch off these lights to save more on electricity and become more efficient. If you just go into the departmental store and pick up cleansing products based on the higher volume of chemical content, then you have got it all wrong. You will open your house to a plethora of toxins and health hazards like asthma, chronic respiratory ailments and cancers. These toxins can cause eye irritation, headaches, birth defects, infertility and much more. Scared? Well, you can always go for natural cleaning agents. Home based products like plain soap and water, vinegar, baking soda and lemon juice can work as wonderful replacements for these chemicals. Go ahead and use them for your spring cleaning needs. For instance, kitchen counters can be completely renewed of stains by using a mixture of vinegar and common salt. There all sorts of YouTube videos you can watch and learn to create your own natural cleaning mixtures. Coming back to useless junk, you can always use them in your spring cleaning needs. For instance, you can use your age old t-shirts to make good cleaning cloths. They will go excellently with natural mixtures to clean your condo. You have to realise that most of your junk can be repurposed and used to make your spring cleaning more efficient and organised. Old towels and toothbrush can be repurposed as cleaning utensils and can be used easily to polish and cleanse stainless steel utensils and kitchenware. And then, you can always give away useless stuff to those who need it more. What a great initiative to include in your spring cleaning plans this year. I always advise that being a little paranoid about keeping your condo organized always makes cleaning more efficient. This spring cleaning, take a pen and paper and assign proper spots and names to all your household stuff from kitchen appliances to your different sets of PJs. Keep that X-Box remote next to the central console and stick to this regime. This helps you in cleansing your house fast and more efficiently. Otherwise, you just have a lot of cleaning to do. In an organised interface, you know what you have to clean, where it is and what will clean it best. It’s always better to have a plan that to go all guns blazing! Go ahead, organize those closets.